It has been almost a WHOLE week since the 3D Archery Shoot and I am STILL living off the fun we had and, for me, shooting a bow for the very first time! This is a sport I am excited to jump into! Last weekend was much warmer and dryer than the May shoot. It started off damp with a drizzle of rain here and there, but the Saturday afternoon sun brought both warmth and challenge as it was a bit harder to see a few of the targets. People were happy to come across a little fawn bedded down (out of harms way) in the course. Burgers were purchased from the Bison Ranch for lunch and many ate the Ranch’s spaghetti dinner while listening to the amazing River City Pickers. If you are interested to see the winners of the shoot and a peek of the River City Pickers, the photos are up on the H2H Bison Ranch’s Facebook page. 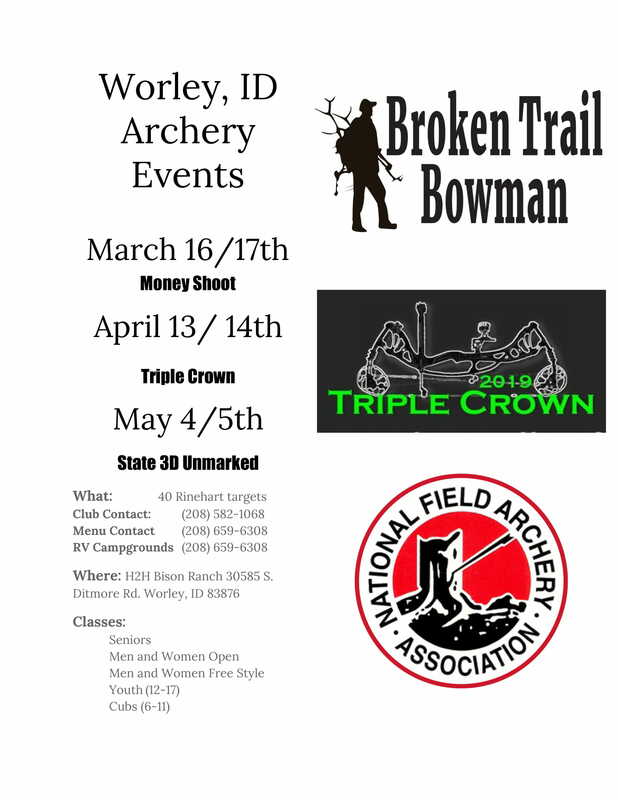 Thank you Broken Trail Bowmen for hosting your event at the ranch!! We enjoy having you and look forward to many years of archery shooting!! !